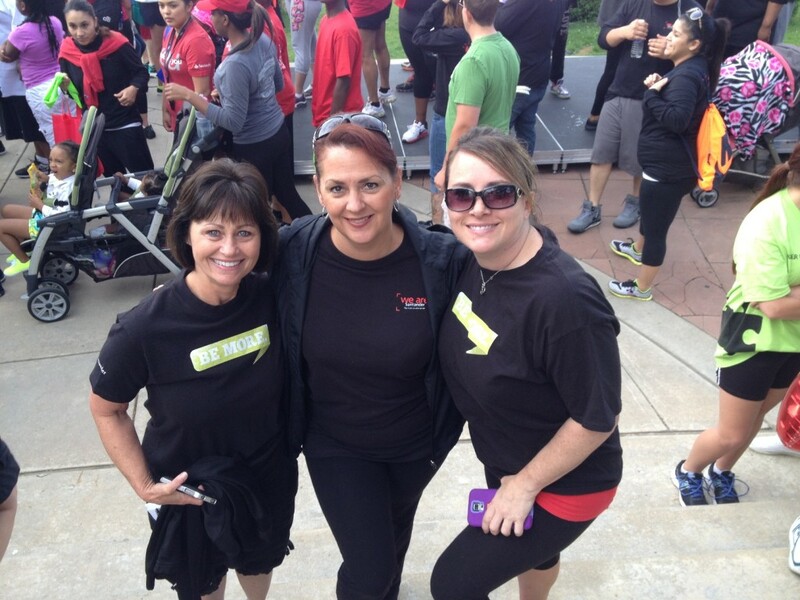 Peggy Rolston, left, Angelina Turilli and Melissa Lawson at the Colorado walk. Santander Consumer USA values community service. That’s why every year the company supports the American Heart Association through the AHA walk and various on-site fundraising efforts and activities at each SCUSA location. This year, Texas fundraising activities are planned through Sept. 12, culminating Sept. 13 with the Dallas Heart Walk, the nation’s largest, according to the AHA’s Heart Walk website. Fundraising goals for each Dallas-area location are: North Richland Hills, $12,000; Thanksgiving Tower in Dallas, $8,500; Lewisville, $7,000, and 8585 Stemmons, Dallas, $5,000. All locations started fundraising officially Aug. 10 and made some headway toward their goals. Colorado team members previously collected $8,636.92 leading up to the Denver Heart Walk in June, setting the bar very high, according to Kate Gatlin, corporate communications specialist. “Queen of Hearts” floor captains will collect donated funds by floor and/or SCUSA location. Fundraising activities include an individual challenge for a $250 Southwest Airlines gift card for raising the most donations at each of the four locations. The winner of the department and team challenge will receive a complimentary breakfast for creating the gift basket(s) that raise the most money per location. And sites that meet their fundraising goals will receive an ice cream treat. But each site and department also is encouraged to set up separate fundraising activities beyond those that are organized by SCUSA’s culture and engagement team. SCUSA employs about 4,000 associates at its Dallas headquarters, other service centers and in sales positions throughout the United States.